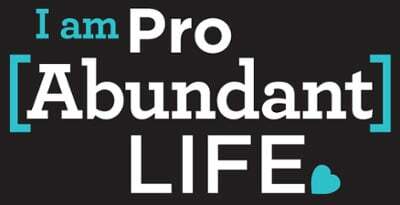 Thanks to the generous support of Care Net’s faithful supporters, more than 462,000 lives were saved from abortion over the last 7 years…and more than 1.2 million clients heard the Gospel! Now, imagine if, over the next 7 years, the number of lives saved jumped to 1,386,000 and the number of clients who heard the Gospel jumped to 3.6 million. In other words, imagine if we tripled our impact over the next 7 years! Would you be excited to be part of that kind of impact? Well, the only thing standing between where we are now and where we could be is resources. The Friends for Life program provides an opportunity to multiply the impact of your investment by equipping you to invite three like-minded friends or family members to join you in supporting the life-saving work of Care Net. We provide the tools to make the invitation, you provide the commitment to extend the invitation, God does the rest! Jesus told the disciples to bring him their 5 loaves and two fish and out of them he created a feast for 5,000 men…plus women and children (Matthew 14:13-21). The Friends for Life program is an invitation to step out in faith, give Jesus your offering and ask him to multiply it so that Care Net is equipped to offer compassion, hope, and help to even more women and men facing pregnancy decisions and save more lives both now and for eternity! What is required to join the Friends for Life Program? We want to make this easy for you. The only thing we ask is that you commit to extending 3 invitations to like-minded friends or family members to join you in supporting the work of Care Net. Making this commitment means signing our Friends for Life Pledge. We will provide the tools to make the request and will support you in any way needed. The invitations can be in the form of an email, a face-to-face meeting, or a phone conversation. I’d love to multiply my impact and become a Friend for Life! I’m interested in becoming a Friend for Life, but have some questions. Please have someone call me.